This morning the Darebin Falcons welcomed over 60 budding and current junior footballers, from some 16 clubs across Victoria (some as far away as South Warrnambool! ), to a free footy clinic at Preston City Oval. 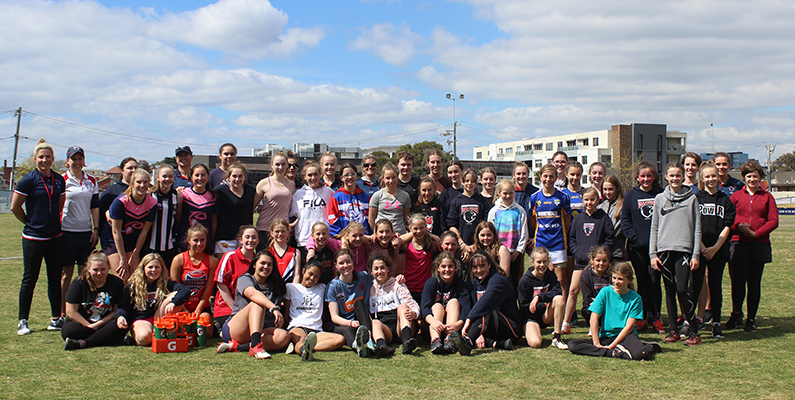 Under the watchful eye of Club champions such as Melissa Hickey, Kerryn Stephens, Shevaun Hogan and Elise Casamento; the participants worked their way through five stations, focusing on all the football fundamentals – kicking, marking, handballing, tackling and ground balls. 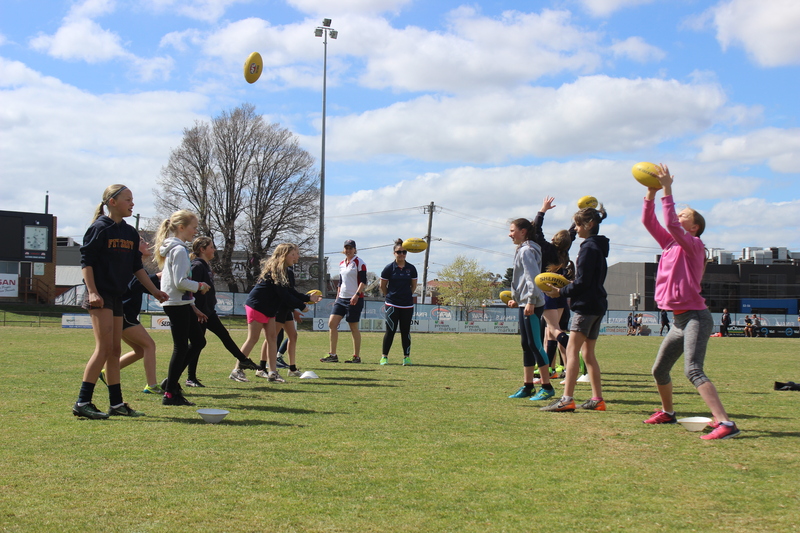 Members of the Falcons’ VFLW squad including Maddy Guerin, Molly Eastman, Lauren Jacobs, Alex Pronesti and Chelsea Delbridge, plus VFLW forwards coach Lisa Roper, were also on hand to help the girls fine-tune their skills. After the girls completed the five stations, they put their newly honed skills to the test in some small-sided games. The Darebin Women’s Sports Club would like to thank all of the participants and their families for coming along and making it a truly great day. Stay tuned to the website, Facebook, Instagram and Twitter in the coming weeks for more information about our Come & Try Days, our Junior Football Program and the highly anticipated launch of our Falcons Academy. Stephanie Simpson named as Captain of the 2019 Darebin Falcons VFLW team.